In honor of National Grilled Cheese Month, I’m posting a different grilled cheese sandwich every single day through the month of April. You’re welcome. OK. I admit it was pretty much a given that turkey, brie, and pear-apple butter would make for a stellar grilled cheese sandwich. But did any of you stop and think about the bread? Did you even bother to consider how the choice of bread could completely change the taste of the sandwich? 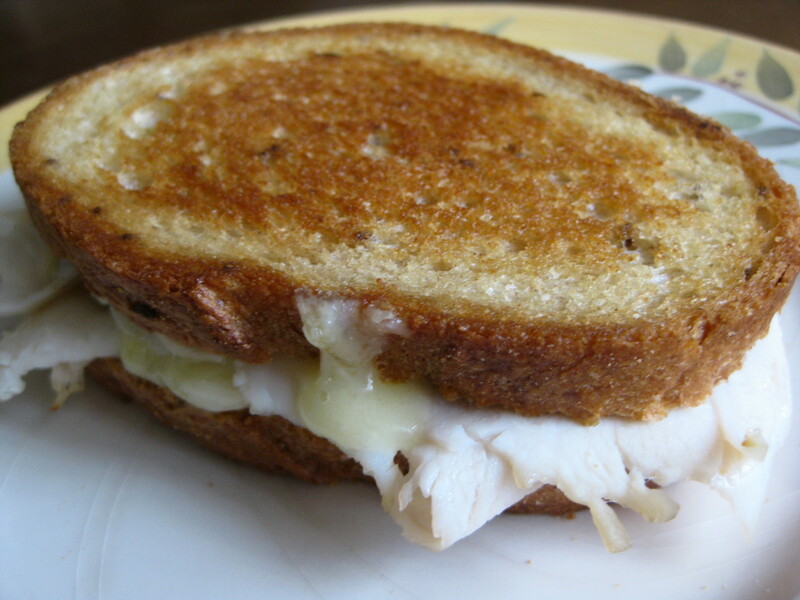 So I’m asking you, as a favor, please grill this sandwich – tender deli turkey, oozing brie, and sweet pear-apple butter – on savory, pungent caraway rye bread. And please, please enjoy the earthy perfume of toasted caraway seeds in the air when the buttered bread hits the griddle. Could you just do this one little thing for me? For general grilled cheese tips, visit the inaugural grilled cheese sandwich post. Tender deli turkey, oozing brie, and sweet pear-apple butter sandwiched between two slices of savory, pungent caraway rye bread. Layer the cheese on both slices of the bread. 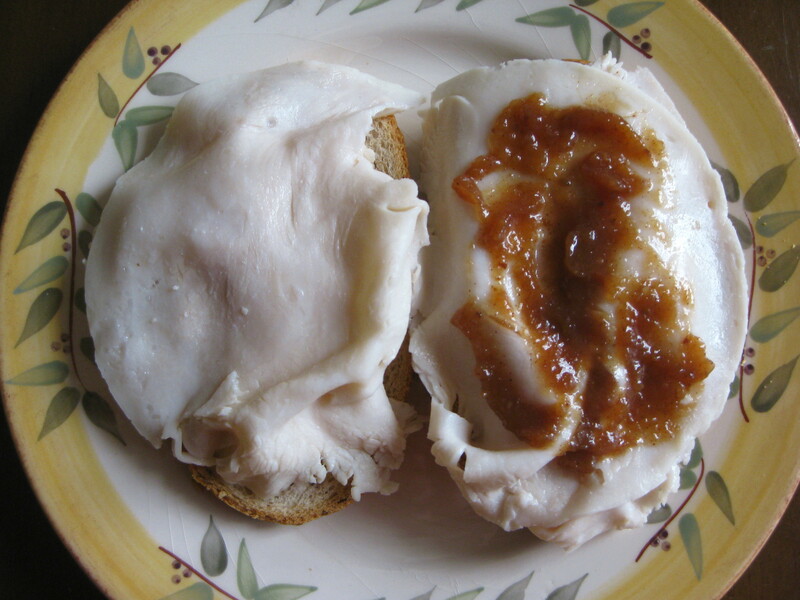 Top with turkey and pear-apple butter. Close it up and butter the outsides of the bread. Griddle on medium-high heat until the cheese is melted and the bread is golden brown.